Sleep better with Advil PM. By combining the #1 selling pain reliever with the #1 selling soothing sleep aid (2), Advil PM helps you fall asleep faster and stay asleep longer (1). Don't let backache, minor arthritis pain, joint pain or other minor nighttime aches and pains interrupt a restful night's sleep. 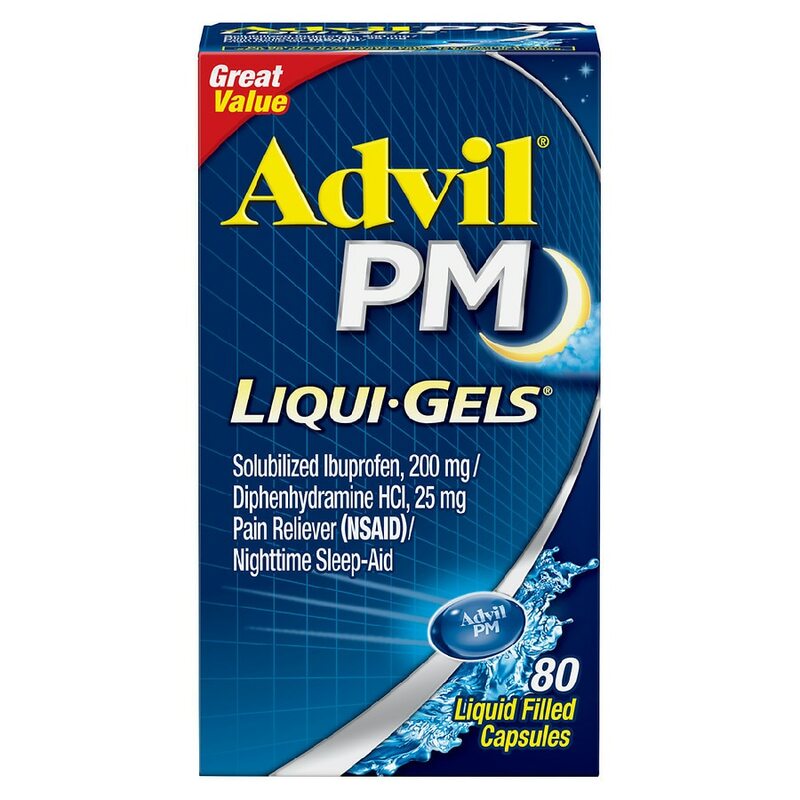 Ingredients: The active ingredients in Advil PM Caplets include 200 milligrams of ibuprofen (an NSAID) and 38 milligrams of diphenhydramine citrate. For the relief of occasional sleeplessness when associated with minor aches and pains. Helps you fall asleep and stay asleep.